Creating bonds is a very important part of raising children. It allows them to feel nurtured and loved. Sharing your native language with your child is a great bonding experience that can have a life-long impact. Many parents that are raising bilingual children have ties to the language through family. The technology that we have today makes it so easy to communicate with family that is far away. Your child will have the great advantage of communicating and forming bonds with the extended family. Being able to communicate not only broadens social skills, it definitely expands the family tree. For a fun craft, build a family tree with your little ones when they are old enough to recognize names and photos of relatives. Talk about the relationships between each family member and go over relevant vocabulary in your native language, i.e. words for mother, father, brother, sister, aunt, uncle, grandma, grandpa, etc. Languages are more than just words. There is a lot of tradition within them. Through the words of your native language, your child will learn about food and traditional dishes, they will learn about music and instruments. They will hear stories that have been told through generations and pick up books of great writers. They will be able to have an understanding and participate in these traditions. The bond between you, your child and family will have stronger roots. Sharing your native language with your child really is a gift. It will not only set up great advantages when he/she is an adult venturing out in the world, but it will instill a strong sense of self and an emotional connection to others. One day, your child will be in the position to pass down all of the great treasures that are wrapped inside the words of that second language. Need some help introducing your child to a second language? 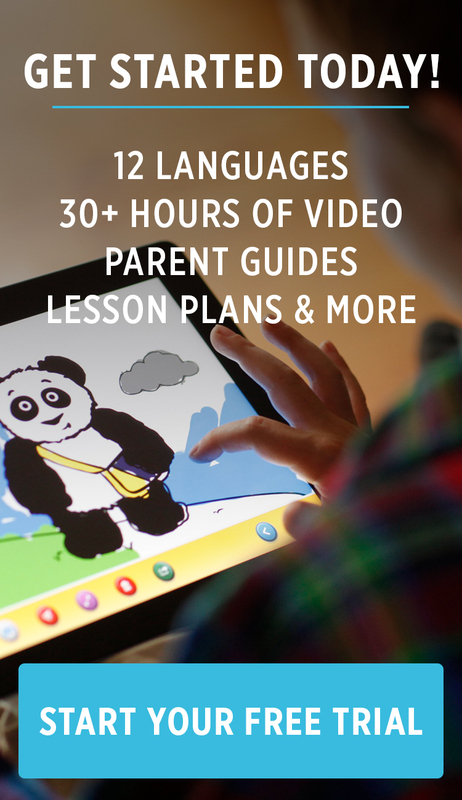 Little Pim makes it fun and easy to learn a new language with resources your child will love! Comment below if you have any questions!